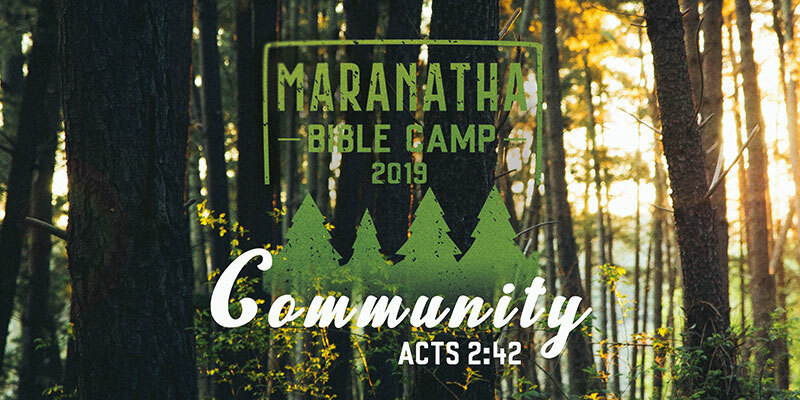 Every summer Northside partners with Maranatha Bible Camp to challenge teens and children to grow in their relationship with Jesus Christ. Every year we are blown away by what God can and does at camp in the lives of students, parents and sponsors. Campers who register and pay between March 23-April 23 will receive a free camp t-shirt! Determine your camper’s appropriate session by using the grade they will be entering in fall 2019. Parents: If you plan on attending Beginner Camp with your child, fill out the “Sponsor Registration” link below. *NCC cost is for all students who regularly attend NCC on Sunday mornings and any students who do not attend another church. The deadline to receive Northside’s early bird pricing is May 14. If registering directly with MBC, the early bird deadline is May 21. Northside pays for all camp sponsors who register by the early bird deadline. Sponsors who choose to register after the early bird deadline will have to pay the $10 difference of the full sponsor fee depending on the circumstance. If you need financial assistance, you will need to complete the Camper Scholarship and Registration Application. Scholarship applicants will be asked to pay a minimum of 20% of camper fees as their deposit. Campers who register and pay by April 23 will receive a free camp t-shirt. Scholarship applicants who have paid their deposit by April 23 will also qualify for a free t-shirt. The free tees will be available for pickup in the church lobby from April 7-28.